Whenever you go to a baseball game, it’s amazing how fans in America control their emotions. In most stadiums sometimes you can even hear a pin drop, especially if their team is losing. The fans are either busy eating or talking with their companion. As I watch the game, I am annoyed because they are missing the finer points of this wonderful game. Then if their team is winning big or losing big the stadium is half empty by the 7th to 8th inning. My son’s David, Jonathan and I always stay till the end enjoying every minute of the game because as Yogi used to say “It ain’t over till its over”. I’ve been watching the 2017 World Baseball Classic the last several days and the cheering sometimes appears to be non-stop. There is no quit attitude in the fan base. The players themselves bring a ton of excitement to their fans. The Dominican team is one of the best in providing this excitement. I watch their games with interest as I am familiar with most of the players on their squad, which is full of Major League stars like Robinson Cano, Manny Machado, Jose Bautista and so on. Just a bunch of great stars who celebrate every big hit as one unit, running out of the dugout to greet each teammate. Then you watch my favorite team, Puerto Rico, their excitement is also contagious, and of course me being a New York Rican, I am rooting for them to win it all. 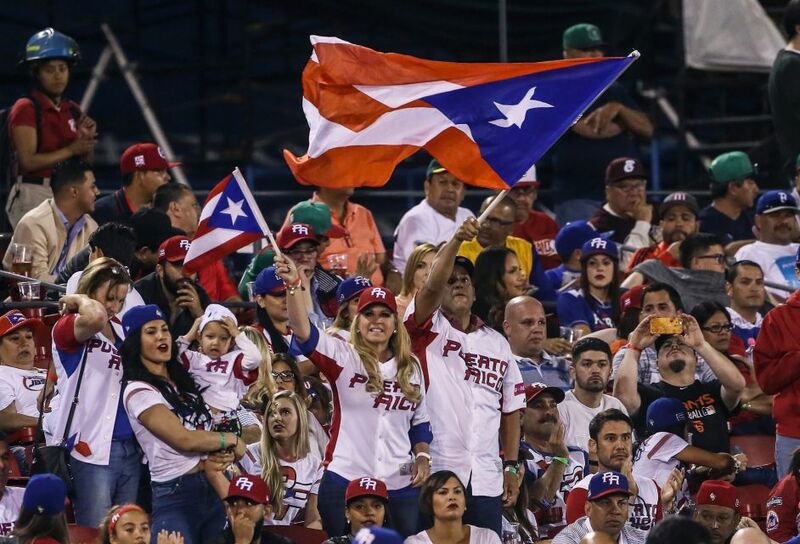 The Puerto Rican fans are just as fanatical as the Dominican fans. Their country flags waved all over the stadium, sounds of noise makers in the distance and non-stop cheering throughout the whole game. You forget for a moment that you are watching a baseball game. The Puerto Rican team is filled with some of the current MLB stars such as Carlos Beltran, Francisco Lindor, Carlos Correa, and of course from the New York Mets, T.J. Rivera and Seth Lugo. The USA team, also one of my favorites, is typical of what we are used to seeing in the states, professional and low key. They are also full of Major League stars who have so far struggled until Sunday night’s must win over Canada. They dropped a tough game against DR, but rebounded when it was needed to move on to the second round. Puerto Rico also is in the next round, which I know the games will continue to be exciting and the fan base will be loud and be there to root them on to victory. I usually don’t watch teams that are not the Yankees nor the Mets, but the WBC has kept me intrigued. The games have been very exciting and I have enjoyed seeing the players celebrate after every big play. It’s made the game exciting to watch. As of Sunday the Dominicans appear to be the favorites to win the classic with Japan and Puerto Rico the co-favorites. DR survived a scare from Colombia, winning the game 10-3 in 11 innings on Sunday. But if not for a great play at home plate when Jose Bautista gunned down the runner trying to score with the winning run, Colombia might have given the Dominican team their first loss in the tourney. But they get to live on for another day. Even though there is talk of not continuing with the WBC in the future, I believe that would be a mistake as fans all over the World look forward to watching their countrymen compete every four years. Plus if you look at the attendance figures, especially when the Dominicans played USA, over 40,000 fans were in attendance. It was a sold out game at Marlins Park, and take note never have the Marlins sold out their own home games. As for the other Florida team, the Tampa Bay Rays, it takes them approximately four games to get that many people in the stands. I realize that the baseball season in the states is 162 games and it is difficult for the fan base to get excited every game but how enjoyable each game would be if the excitement level for each game was like the excitement level in the WBC. I know I would be going to many more games just to be in the middle of that. As I continue to watch and enjoy this seasons classic, I will be looking forward to 2021 to see what stars will represent the USA and Puerto Rico in the WBC and the excitement of watching the fans have a good ole time at the ball park. Elias is a native of the Bronx, NY and a lifelong baseball fan. In High School, he once pitched a gem on the same field as Ed Kranepool and grew up rooting for both the Mets and the Yankees. Elias is a retired NYPD and Ocala, FL Detective and spends his quality time with family and writing about the game he loves.